Continuing down Fifth Avenue we see the train zip by at 45 miles per hour without stopping for a single raffic light. 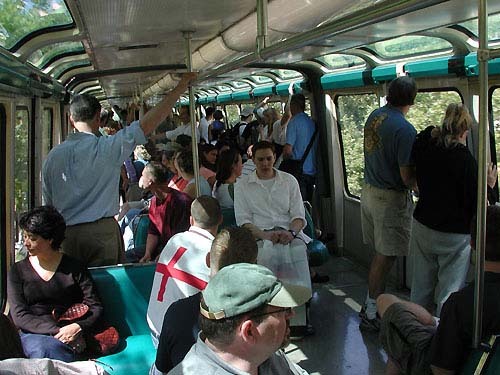 A train full of passengers. One thing that impressed me more than ever before was the importance of passengers being able to walk from one end of the train to the other. Loads on the trains "even out" naturally when people board and nobody is left behind because they picked the wrong car. 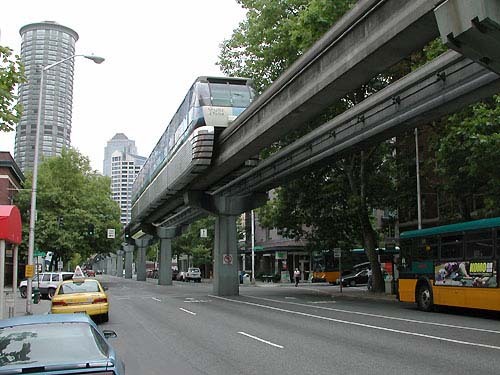 Unfortunately, several current day monorail manufacturers don't include this in their designs. The view from the front of the monorail is one of the best. 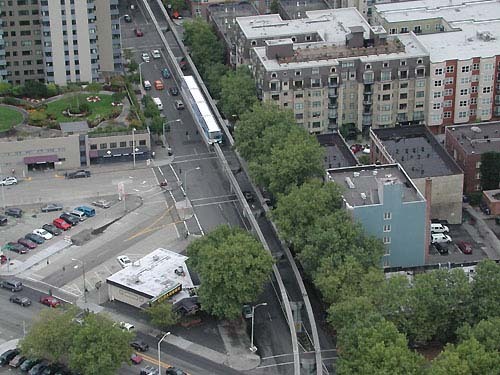 Two or three passengers actually sit a bit forward of the driver and can look right down on the guideway and Fifth Avenue zipping by below. I shot this on an overcast day from the top of the Space Needle. 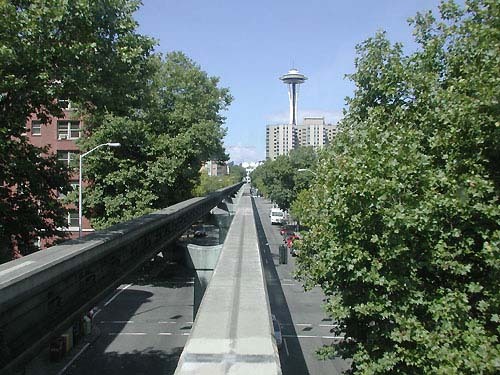 Monorail Red (the color it had during the 1962 fair) slows as it begins its approach to Seattle Center.